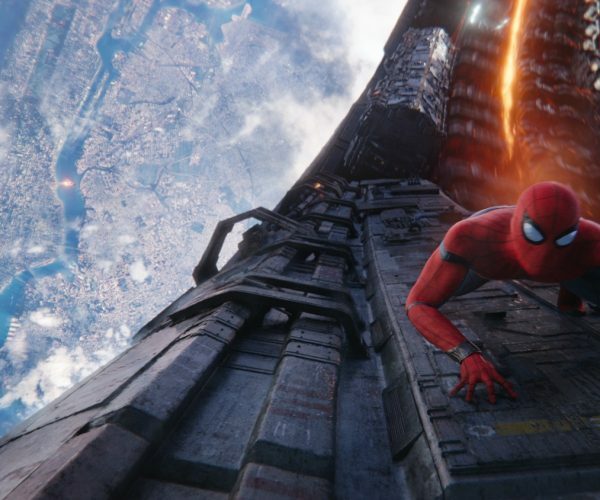 Spoiler season is here, and we’re jumping right in with a net. 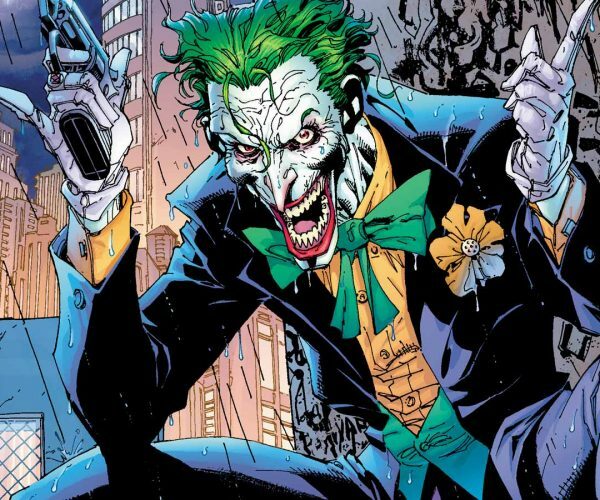 I can’t think of a single player who isn’t excited to be going back to the plane of Ravnica. 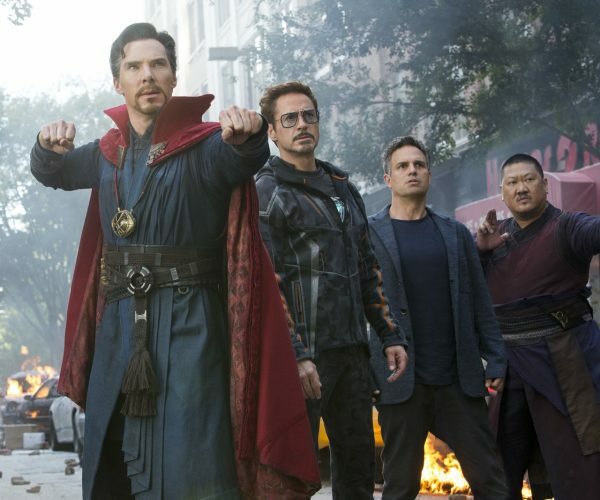 For me, it’s my first time playing with a Ravnica set as it comes out, and while the usual grumbles about power level and misprints are abounding in the Magic: The Gathering community, I’m happily watching from afar knowing that the Guilds of Ravnica is going to show me why the plane is so popular. 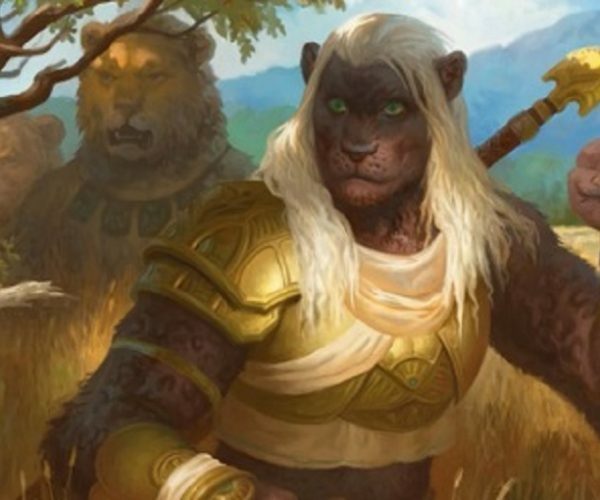 As usual, we’re breaking down our favorite common cards first for Limited play, and then we’ll talk about uncommons and rares later in the week. We’ll close out our reviews with the cards we’ll use in constructed play, where we already have an early favorite as the best card in the set. Guilds of Ravnica is a bit different with the heavy emphasis on multicolored cards. If you’re curious how this is handled, we recently spelled it out in an Introduction to the Guilds of Ravnica editorial. 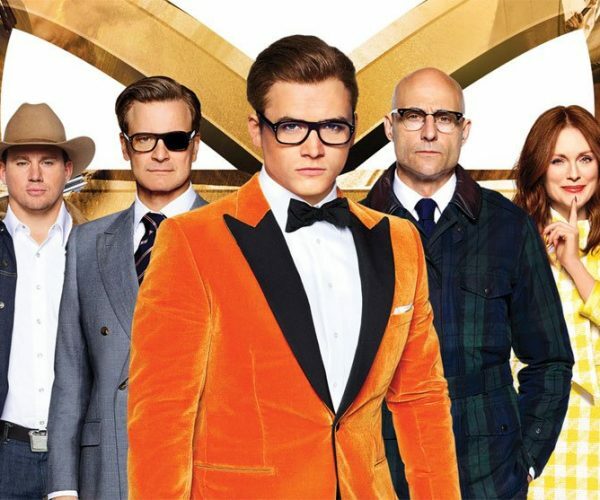 For the reviews, we’ll split them up with monocolor and multicolored reviews. With that, let’s start today’s monocolor reviews with White! White makes up half of the aggressive “Red/White Boros” decks and half of the “Green/White” Selesnya decks. We’re looking to cheap, efficient creatures that attack hard and fast for big damage, long before other combinations can set their strategies up. Cheap removal is also key for White because we want to be able to cast our creatures quickly while also dealing with their threats. Wizard’s has created a monster because nobody wants Pacifism anymore, it’s chopped liver. Luminous Bonds is back for the third expansion in a row, making it the new Colossal Dreadmaw. The card has been the prime common removal spell going back to Rivals of Ixalan, and don’t expect that to change here. It’s quick, efficient, easily splashable into any deck, and takes care of any big threats with few strings attached. This is a common card you’ll have no problem first-picking over mediocre rares and uncommon. Take them early, and definitely play White if you get two. Splash for White if you get one. Luminous Bonds shines even brighter in multicolored-focused sets like Guilds of Ravnica. 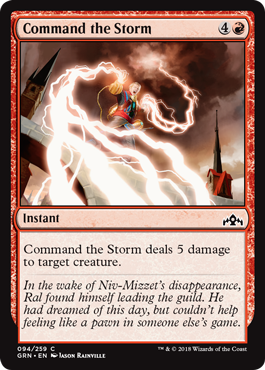 Guilds of Ravnica has plenty of targets for this to clean up with no strings attached. It’s best saved for attacking creatures, but when played on declared blockers, it can deliver the last few points needed to close the deal. Always take a Luminous Bonds first, but this is a solid backup removal spell, especially in an aggro deck. Raise the Alarm this is not, but that lifelink ability somewhat offsets the disadvantage of sorcery speed. 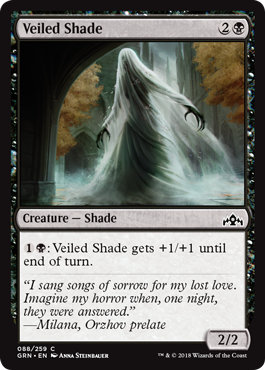 You’ll want this in a Selesnya deck as it contributes two-fold to your convoke spells. 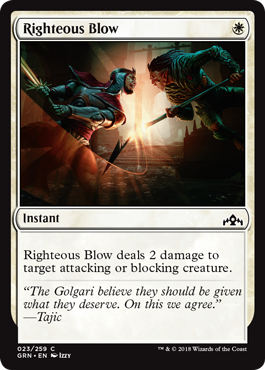 In a Boros deck, it’s just two more attackers that can be pumped and can secure your life totals once the opponent starts to recover from your initial onslaught. Normally, I wouldn’t bother with a 1/1 flyer for one mana. In a best case scenario, they get in for a lot of damage if played on turn-1 and opponents can’t find an answer. More frequently, they chip away a point or two of life before being turned into a chump blocker. 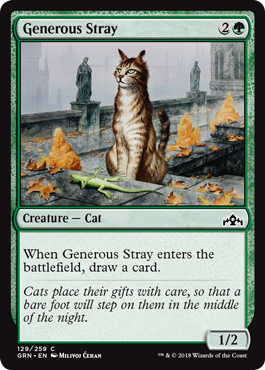 Not in Guilds of Ravnica, where this card is far more valuable with the possibility of the mentor ability piling on the +1/+1 counters. With a proper ramp, this could easily become a 3/3 flying, lifelink creature that you paid a single mana for. If you don’t get the mentor checks, lifelink still makes this a viable card, hitting for two-point life swings each time it gets in, not bad either. It’s also a legit convoke tapper. This common can close a game. 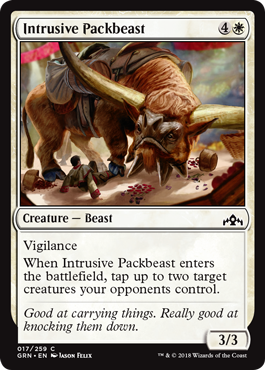 With enough Selesnya and Boros creatures on the board, Intrusive Packbeast has the potential to open up clean attacks and punish an opponent for leaving up blockers. 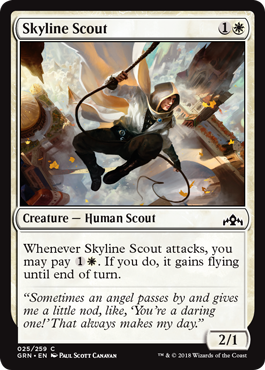 Leaving behind a 3/3 vigilance creature is also a ton of value attached to this tap ability, leaving a defender on the crack back and an impressive creature for any future combat. A 2/4 that can come down as early as turn-3? If the long-game is your plan, this can stall opponents enough to get your board-state up. It serves as a quality blocker in the late game, and I can’t think of any deck that would say no to this card for free! 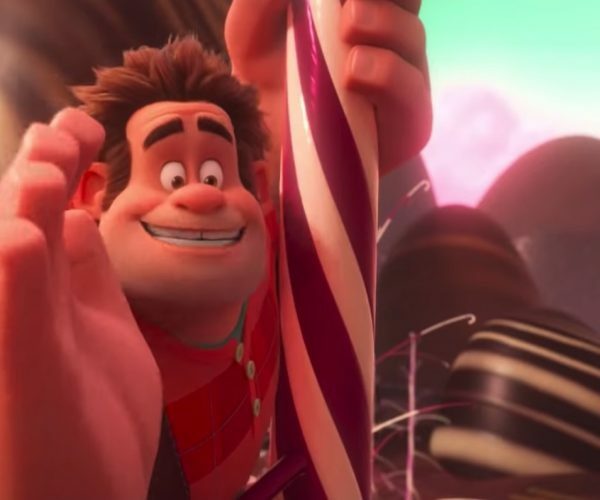 Plus… that art is so sweet! Love Selesnya! A decent flyer for the price of four mana. White loves combining flying with vigilance, and having three toughness means it can block most weenies while still attacking. 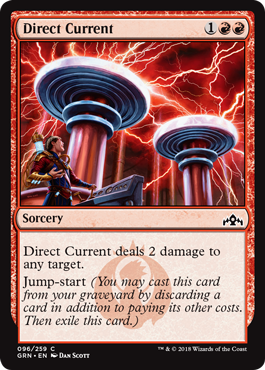 As a Boros card, this benefits greatly from mentor, where it can safely pump smaller creatures from the air. 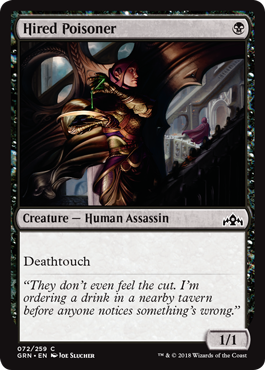 As a Selesnya card, it benefits from vigilance where it can be tapped for convoke. Solid, versatile card. I like this better at second glance. 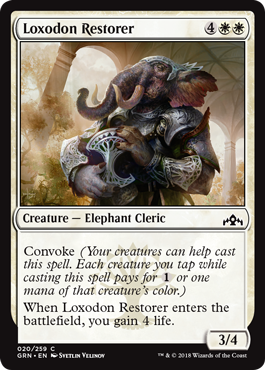 Convoke on a lifegain creature seems like a win. Sure, you might tap most of your blockers to cast this elephant, but the 3/4 stats on a solid blocker and four life should help you persevere for another turn. Assassin’s Creed has officially entered Magic. 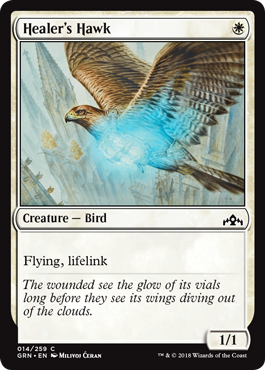 This can be played early and attack aggressively on turn-3, and if played late, it can soar over creatures to help chip off those last few points of damage. Mentor to make it bigger! White is great! 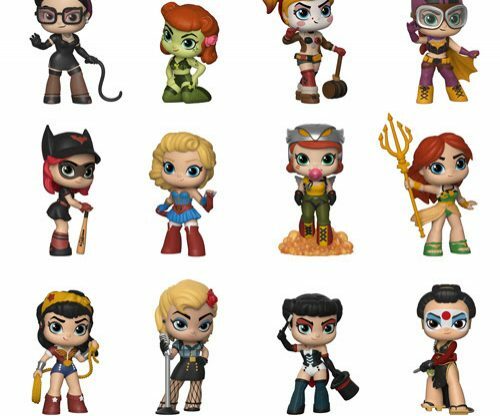 So many playable commons, it’s hard to pick! 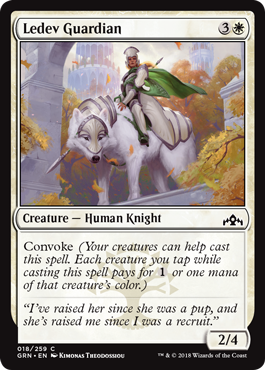 Convoke is always a powerful ability, but it only appears to be attached to smaller White creatures. 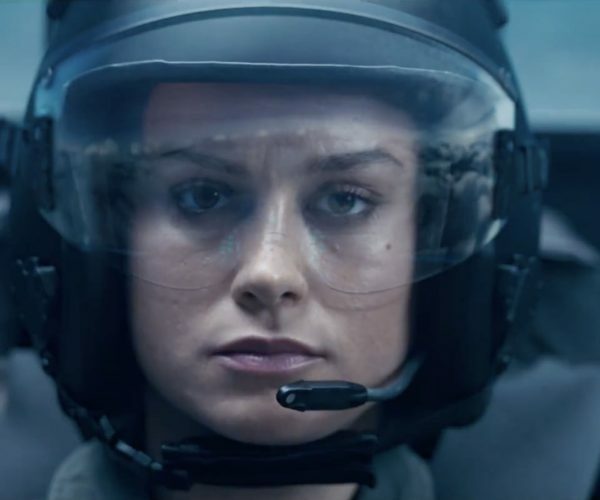 Green will benefit more from it for combat tricks and genuine threats. 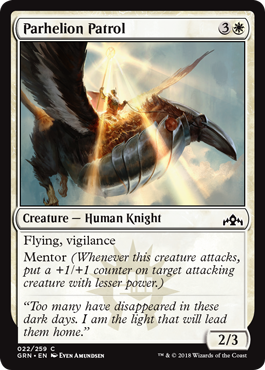 Boros’ mentor mechanic also opens up a world of hurt if properly ramped into, but the only solid White mentor is a four drop, too slow for a standard aggro deck. 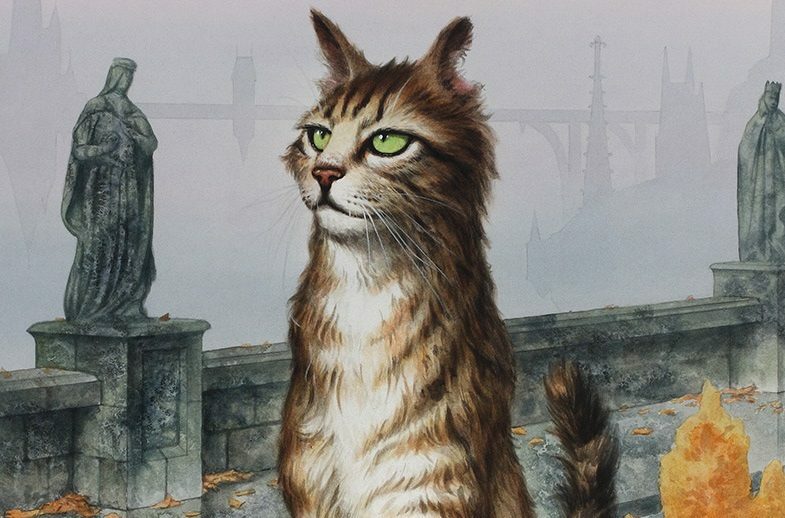 There are plenty of targets for it at common, most noticeably Healer’s Hawk, but we’ll have to wait for Red or Guilds of Ravnica’s uncommon cards to see if mentor can pay off in the early game. Blue combines with Red for Izzet decks and Black for Dimir decks, meaning we’re looking for instants and sorcery spells that help us draw cards, control the board, gain card advantage, and get an insight into what our opponent is doing. This is Blue’s Luminous Bonds, only one mana more expensive and so much more powerful with Flash attached to it. It also negates most creatures’ activated abilities, something Luminous Bonds does not. Sadly, it isn’t an instant or a sorcery card, meaning Izzet decks won’t benefit from synergies, but it’s also powerful enough for players not to care. 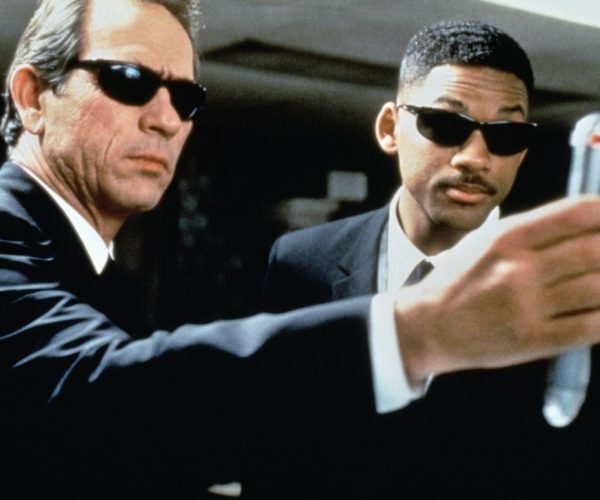 Take it often and early if you’re in Blue. A 1/4 blocker is pretty ideal in a Blue deck looking to drag out the game. 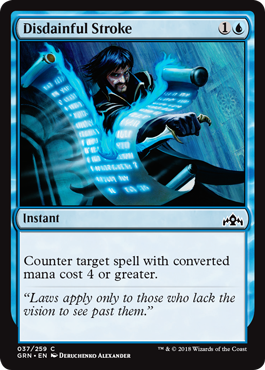 Tying that blocker to surveil 2 seems like a killer combination since fixing your deck and loading your graveyard with spells is what both Dimir and Izzet are looking to do, respectively. This card protects from flooding and stops most annoying aggressive creatures. This is Blue’s premiere common creature in the set. Play this a lot. I’m all about Leapfrog. A 3/1 flyer in an aggressive Izzet deck is going to help close out a lot of games. Red removal or Blue bounce spells should take care of any weenie flyers, clearing the way for big damage. Normally, I’m not into Blue’s -x/-0 spells, but for a single mana, this cancels damage on most creatures, puts at least one instant in your graveyard, and potentially fixes your deck for the next two turns. That is a ton of value for just one Island! Blue doesn’t want blockers to get in the way of its weak creatures or big bombs, so in the late game, this ensures damage will get through every turn! Just be sure you have have enough power to push through. You won’t win with 1-power creatures being unblockable. Blue needs a little bit of beef to back up its brains. Normally, counterspells aren’t that great in Limited magic since you want as much value out of your mana as possible, and leaving it open for counters doesn’t always pay off. However, two-mana counterspells usually get the job done if the target is right. This card is a reprint, and it wrecked havoc back in both Limited and Constructed Magic back the days of Khans of Tarkir. Nothing feels better than countering a bomb for just two mana. Powerful and resilient flying body attached to card advantage, this is everything a Blue deck is looking for to close the game, regardless of the color it combines with. Killer at common. One more common I can get behind. 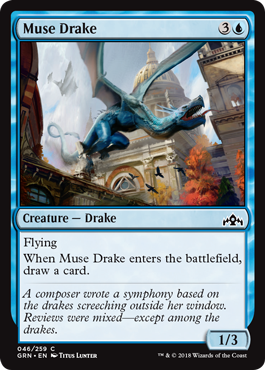 Muse Drake is not too impressive, but drawing a card and getting a legit blocker for four mana is a solid play that most Blue decks are looking to play at any point in the game. I like Blue, and Izzet has always been one of my favorite color combinations. 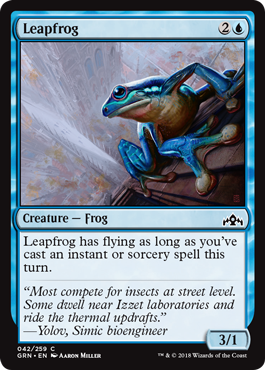 However, I couldn’t find any common jump-start cards that impress me, meaning Blue/Red is really going to have to come up with something big in its Red or multicolor synergies to impress me at common. 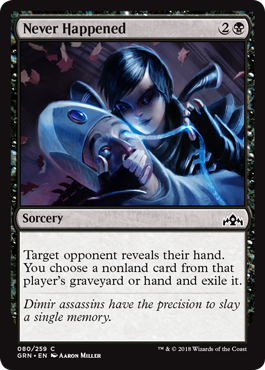 Dimir though… whoa. Surveil is everywhere! You can practically drink the synergies, and we’re not even out of the commons yet. 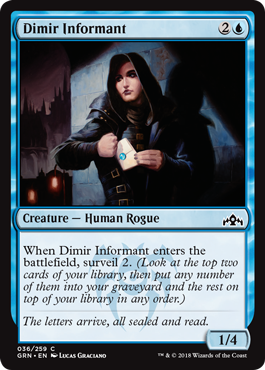 Dimir Informant is the star here, and you’ll always pick one regardless of whether you end up in Izzet or DImir. 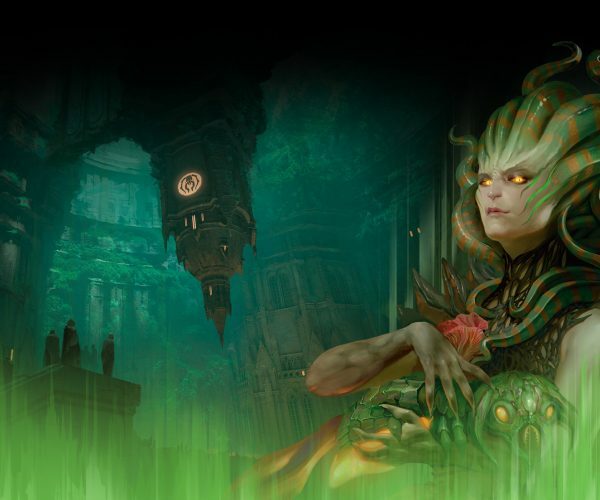 Black makes up half of Green/Black Golgari decks, looking to capitalize on removal spells and the value of creatures in the graveyard, and half of Blue/Black Dimir decks, again, seeking knowledge of what’s coming next and opponent’s plays. Boom! Black loves itself a straight up removal spell for five mana, and after Lich’s Carress proved to be so valuable in Core 2019, I’m gladly trading the lifegain for deck fixing. 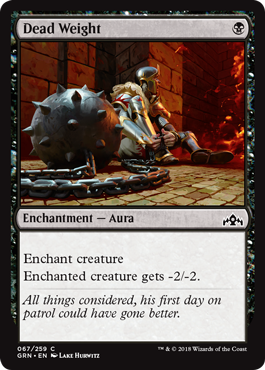 We’ll see how it pans out because Deadly Visit has two other removal spells to compete with. Surveil pays off when paired in a Golgari deck since easy means of dumping useless creatures into the graveyard means huge payoffs for undergrowth, Golgari’s central mechanic. This card isn’t half as powerful as it was in Shadows over Innistrad thanks to delirium no longer looming as a game-ending mechanic. Still, it kills all weak creatures and weakens bigger creatures for a single mana. The psychology behind this card lingering on an opponent’s board also weighs down their mind. 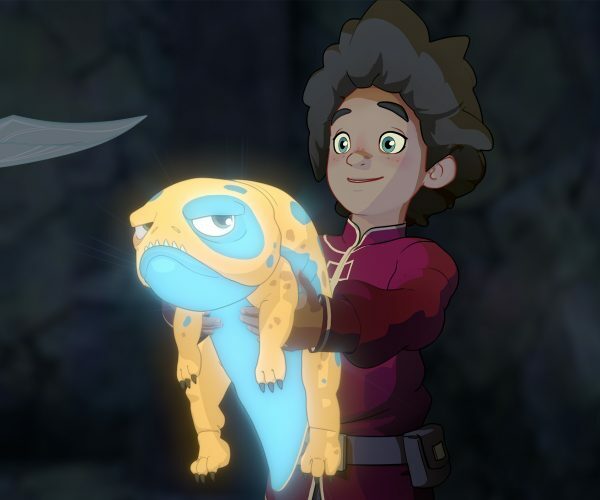 Dead Weight staring at a dead weight on your favorite creature causes players to despair and make all kinds of mistakes. This is such a meta card in that regard. Another viable removal spell, but only if you’ve gotten value out of your sacrificed creature and if you’re trading up for something big. Best used in a Golgari deck since you get a free creature in your graveyard for undergrowth payoffs. When used in a Dimir deck, you’ll want to sacrifice something like Dimir Informant, where you get huge lifegain on a creature that delivers most of its value from an “enter the battlefield” ability. Oooooooooo, a common mana sink! Usually, Red benefits from this kind of card the most, but in the late game, this card can make an opponent’s blocking strategy an absolute nightmare. A three-mana Thoughtseize is still decent if you’re looking to see what your opponent has and get rid of their bomb in a simple fashion. Keeps the universe at bay for a single mana. Opponents simply won’t want to attack into this card early or late in the game because, no matter what, they are losing in that trade. 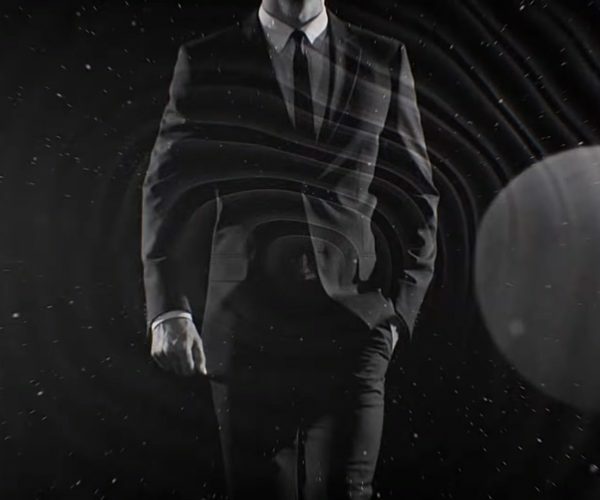 Of all the colors, Black seems perfectly content on playing by itself. 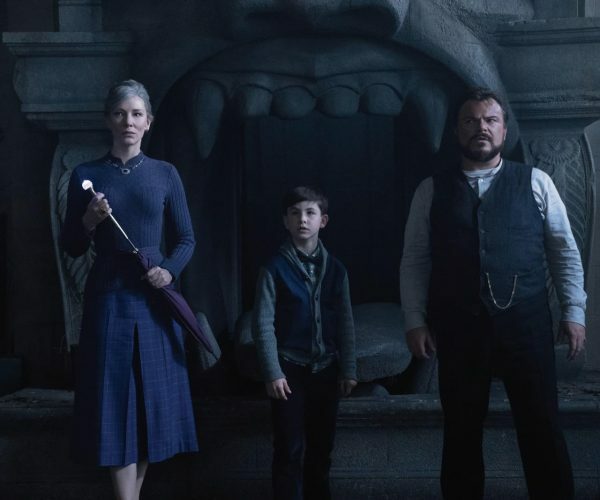 Three removal spells is normal for the color, and the cards you’d traditionally call “Black” are better than the cards that were obviously designed to combine with Blue and Green. Surveil is less prominent in Black than it is in Blue, but it’s still a mechanic you’re going to want to keep an eye out for since it works well with both Golgari’s and Dimir’s goals. Red wants to do direct damage to creatures when combined with Blue for Izzet decks, helping keep threats at bay and setting up huge blowouts, and it wants efficient creatures to charge in when paired with White for Boros decks, causing huge damage early in the game and mentoring weenie creatures. That’s more like it! A 4/2 haste creature is capable of catching a player off-guard, nailing them for four damage and pumping up a friend. Afterwards, it will likely see combat a second time, trading for a creature and handing out yet another +1/+1 counter. That’s roughly 8 damage and two counters, plenty of value for five mana later in the game when your wimps need a late-game boost. Wojek Bodygaurd is even better! It comes down sooner, blocks very well during the opponents turn, and can attack the same turn as Barging Sergeant. 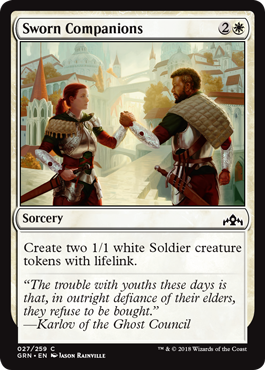 When played together, these two can stack mentor checks on a one or two drop creature, handing out two +1/+1 counters on the same turn. 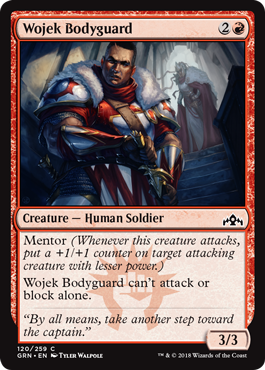 Wojek Bodyguard’s downside is that it can’t attack alone, but why would you want to with the mentor ability? Hold it back to block until you have some viable creatures to strengthen up. Really solid card. Haste and +1/+1 until end of turn is okay for a single mana, but being able to jump-start the card later in the game provides a huge incentive and payoff. With this card lingering in your graveyard, opponents will always be wary when considering leaving back blockers, and that inability to match an aggressive deck’s pressure will always make them lose the aggro game. Maximize Velocity is not a great card in your hand, but it is much better as a jump-start card. 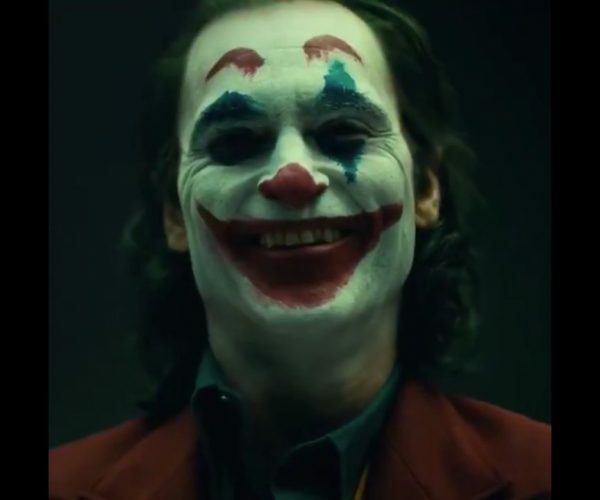 Nothing beats watching an opponent sweat, wondering if your bomb rare is going to come charging in with haste the next turn, when they have nothing to block it with. Red’s direct damage spell… ehhhh, it’s okay. Three mana is a lot for just two damage, and unlike Maximize Velocity, your opponent won’t be as afraid of it lingering in your graveyard. 2 damage is also not really worth the card you’ll be discarding to activate jump-start, unless its an unnecessary land. We’ve been so spoiled by Bombard, Magma Spray, Shivan Fire, Electrify, Unfriendly Fire, Firecannon Blast, and Fiery Intervention over the last few years that it seems weird when a common burn spell feels underpowered. Still, direct damage is direct damage, even if it’s expensive. It’s the lifeblood of any Red deck. Bigger is better here. 2 damage takes care of a few creatures, but 5 will take care of most anything! Sure, it’s a high price to pay, but for five mana, eliminating the set’s big bombs is a small price to pay. I think this will be better than how it looks on paper. 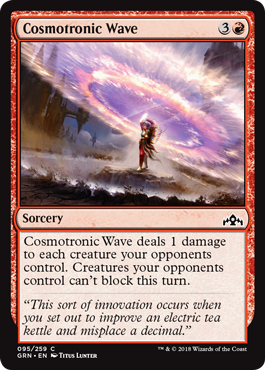 Cosmotronic Wave wipes the board of Goblin tokens and relevant 1-toughness creatures, of which there are quite a few in Guilds of Ravnica. 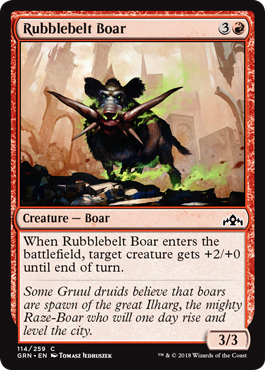 After that, it pushes your aggressive Boros creatures through incapacitated defenses, dealing huge damage that an opponent can only watch. This is a solid way to win the aggressive game if properly timed, and I’d play one in every deck. Rubblebelt Boar is a powerful creature with a nice, common “enter the battlfield” ability. When properly ramped into, it turns any wimp into a threat, and it even makes your mentors bigger, allowing them to pump creatures they normally wouldn’t be able to. Pure aggro! 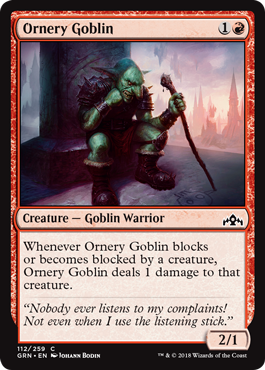 Ornery Goblin punishes any 1-toughness creature that gets in its way, and it can even trade up for a 3-toughness creature. Give it deathtouch, it gain pseudo-first strike. Mentor it, it becomes an even bigger pain. After looking at it twice, Red has grown on me, and that’s usually the case at common. 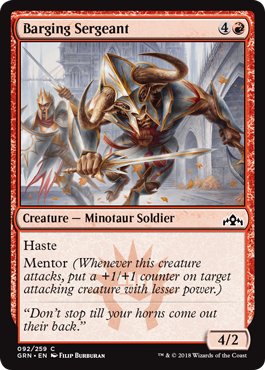 I’m excited that the mentor ability has some decent enablers at common, but the direct damage comes up way short of what we’ve been seeing lately. 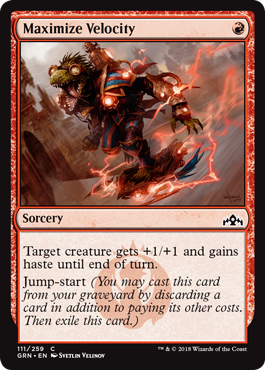 Red has far more power in its creatures than it does in its removal spells, meaning Boros definitely overshadows Izzet at common, and I am still very unimpressed with jump-start. 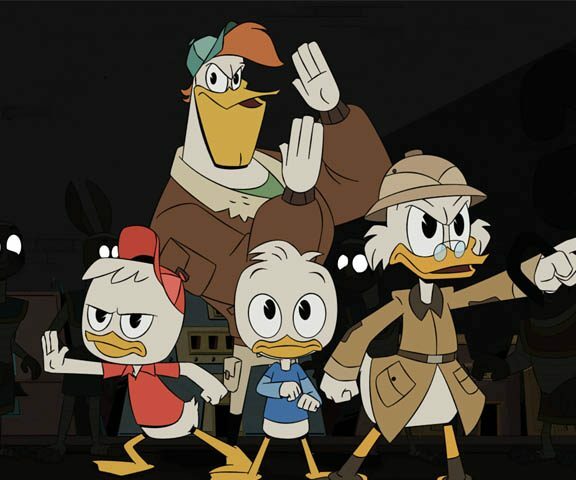 We’ll have to see how strong the uncommon, rare, and multicolor payoffs are. Always my fave, Green wants to go wide with White/Green Selesnya decks, dropping the game ending bombs that the White creatures hold the line for, and it wants to put creatures in the graveyard so Green/Black Golgari decks can get some value from their corpses. Convoke is a deadly ability when tied to combat tricks. Even with a casting cost of three, your opponent will always be cautious of this card when blocking if you leave creatures untapped to defend. 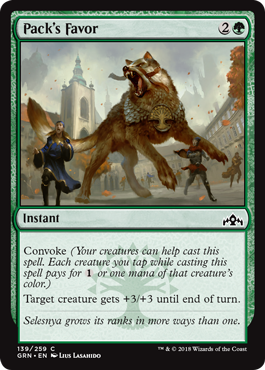 Likewise, Convoke is a deadly ability when tied to big Green dudes. If this comes down on turn-4, which is very possible if you don’t miss a creature or land drop, your opponent will likely just poop their pants. Nothing shy of straight up removal will be able to grapple with this card that early in the game. As efficient as Green removal gets. Never pass this up if you’re rockin’ Forests. We’ve come a long way since Craw Wurm, haven’t we? 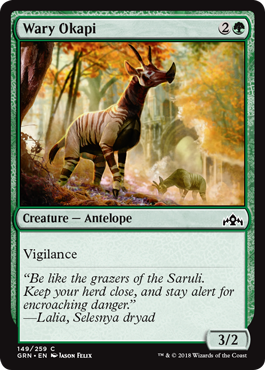 On this card, the undergrowth ability is an after thought compared to the 6-power and the inability for opponents to gang up on this creature. They will have to trade something big to take this guy down, always a plus for cards like this. That bottom line of text makes this a solid common creature. As for the undergrowth, it’s not overly impressive. It’s more of a nice bonus. +X/+X is nice, but Vigilance has a lot of power in Guilds of Ravnica because attacking creatures can still be tapped for convoke. 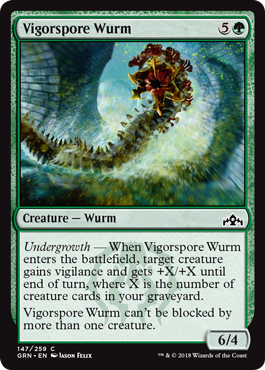 If you play the wurm and attack with your vigilance creature, you can tap both and an additional creature to play the convoke cost for Pack’s Favor, making that charging monster even stronger! Vigilance in a convoke deck. You’ll always want it! Speaking of which, this otherwise throwaway common is all the better in this set than it would be in any other set. 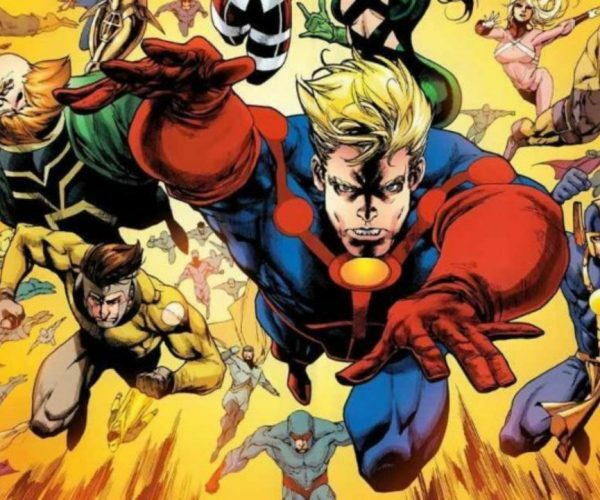 Vigilance… convoke… man! I’m not sure there are enough convoke battle tricks to make it a viable strategy, but when it works, it feels so good. Yes, thank you… more than just cute art, I’ll take a card attached to my chump blocker/graveyard fodder. Am I a horrible person for seeing that adorable cat in such a manner? I don’t usually play Fog abilities in Limited Magic. Actually, I never do, but then again, I never get the chance to play them for free. This is a situational card for when you’re facing down a heavily aggressive deck and your mana is tapped out. An opponent launches an all out attack, expecting you to block with your creatures and makes a few bad trades. Instead, you tap your blockers, play this unexpectedly, take no damage, and swing back at a defenseless opponent. Very situational, and the trap only works when your mana is tapped out. However… oh, I would love to put the hurt on an Izzet or Boros player thinking they’re about to win. Drawing a card is usually worth two mana anyway, but the effect here is game-changing. If you are already playing a Golgari or Selesnya deck, this card opens up the ability to dip into other Guilds! Green always blows the doors off the hinges when it comes to three, four, or even five-color nonsense decks, and this common enchantment combined with the common Guildgates means that if you’re base green, you have no obligation to stick to what Wizards has planned for this set. Let nature take its path in the draft and play whatever life throws at you. If you take one or two of these in pack 1, take whatever off-color bombs you find in the following pack. You’ll likely find a Guildgate and have no trouble casting those bombs in your games. Green is sweet, but then again, what else is new? Green is ALWAYS sweet. I’m not totally convinced on Golgari yet since undergrowth seems more like an afterthought to plain mid-range and control power. Black’s removal spells combine well with Green’s big dudes, and I’m wondering if that’s enough to take down the free-flowing synergies of the other guilds. 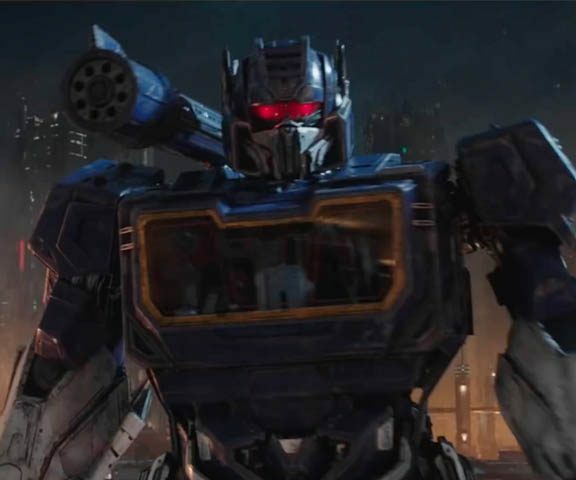 Selesnya looks like a ton of fun. 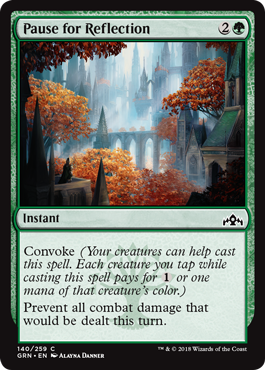 Convoke… vigilance… it’s all over, man! 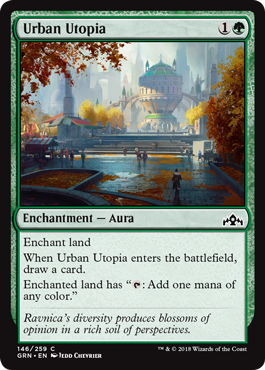 Check out our continuing coverage of Guilds of Ravnica tomorrow when we take a look at the common multicolor and colorless cards.